Maintaining the beauty of your property is key to ensuring its value and aesthetic appeal. But improving the aesthetics of your property could prove to be difficult if your building is tall. Ace Scaffolding Brighton is here to solve these type of problems for you. 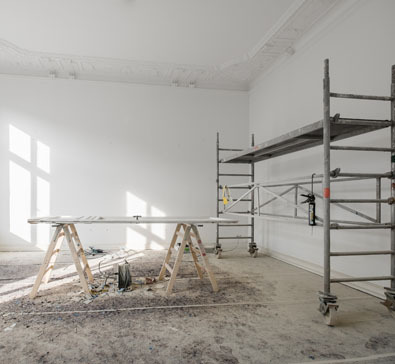 We provide decorating access scaffolding to contractors and property owners in Brighton who are looking to carry out either an internal or external building decorating project. Regardless of the location of your property in the Brighton area, we can erect a scaffold that will deliver a platform from which your decorating and renovation projects at height can be conveniently and safely executed. Our team of highly skilled scaffolders are all CISRS qualified and can deliver the services you need to match your building type. We have years of experience operating all over Brighton, and possess the qualifications and ability to deliver excellent scaffolding services to match your needs at a competitive price. We come highly recommended because of our commitment to service excellence, safety, and quick delivery of tidy scaffolding for decorating access to match individual or building requirements. For expert scaffolders in Brighton that will cause minimal disruption to your premises and surrounding area, yet deliver the decorating access you need fast and efficiently, give us a call today for a free no-obligation quote. We don’t believe in a one-size-fits-all approach to satisfying the needs of our clients. 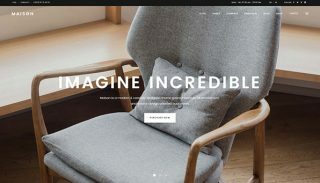 This is because we understand that each client and their project is unique. 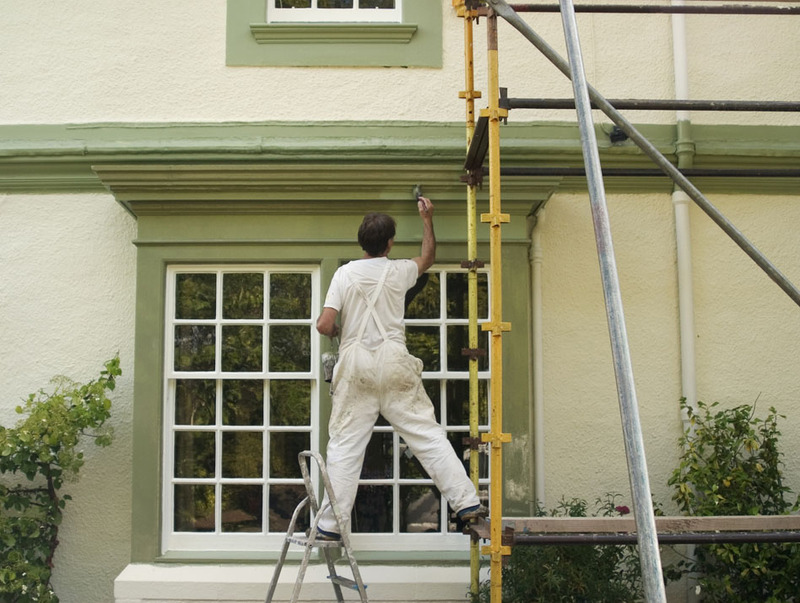 To deliver decorating access that is a perfect fit for the unique needs of each client, we take the time to fully understand what the client would like to achieve through our scaffolding services. This enables us to deliver a personalised service that is a perfect fit for their project. Length and height of the requested scaffolding. Location of property where decorating access is to be erected. If the decorating access will require a council license or permit. 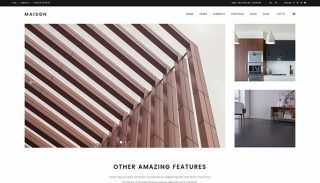 With the answers to these questions, we can tailor our services to deliver a decorating platform that will best facilitate the successful completion of your project. Part of our quality scaffolding service is ensuring the safety and optimal functioning of the scaffolding provided. It is important that you are provided a decorating access of sound structural integrity and that’s flexible enough to adapt to match the changing needs of your project as it progresses. We can quickly erect a decorating access that is strong enough to bear the weight of your workers, their equipment and other working materials at height for as long as necessary. If needed, we can also provide you with a decorating platform that delivers mobility. This will allow for the quick, safe and easy movement of the platform to various areas of the work site, and according to your needs. When working with Ace Scaffolding Brighton, you can rest assured that you are working with a firm with a standing reputation for delivering solid and high performing scaffolding that’s in line with all industry standards and best practices. Call us now for a free quote or site consultation. When working with Ace Scaffolding Brighton, you don’t get scaffolders that simply install scaffolding and leave you on your own. To ensure complete satisfaction with the scaffolding provided, we will stand by your side offering our expertise from beginning to the end, or for as long as you need it. Our team can also help with the quick acquisition of any scaffolding licenses or permits needed for your project. We offer a free consultation service at the start. This will enable you easily decide on the type and level of scaffolding you need to match your project’s requirements. We can provide you with a consultation service over the phone after you give us all the relevant information concerning your project. Alternatively, we can visit your project site for a survey at your convenience and then provide you with all the expert guidance you need. After you have decided on the type of scaffolding your project requires, we will liaise with contractors on your site and project managers to Design a scaffolding that will best facilitate the progress of your project. By incorporating the unique needs of the workers on your site during the scaffolding design stage, we can erect a fully ready and functional scaffold that minimises waste of time, money, and effort. After scaffolding has been erected, we provide Support services for the duration of your project. Our support services include the inspection of the installed scaffolding at regular intervals to verify its performance and safety. This will be followed by maintenance services when and if needed in order to optimise the safety and functionality of the installed scaffolding. When your project is completed or you are simply done with the scaffolding, you can call on us at your convenience for its dismantling. 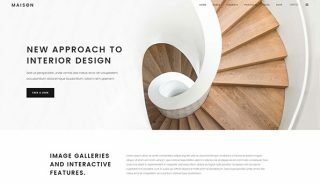 There’s no point to scaffolding cluttering up your site after you no longer need it. Once you contact us, we will move as fast as possible to have the scaffolding taken down and transported off your site at no extra charge. You have our guarantee that during dismantling, the utmost care will be taken to prevent damage and/or injury to your site as well as the people on it. We also offer emergency scaffolding services in Hove, Kemptown, Moulsecoomb, Hangleton, and other parts of Brighton for those in urgent need. To discover more about how our team can contribute to the successful and smooth completion of your project, give us a call today for a friendly chat. Apart from focusing on consistent delivery of quality scaffolding services, we are also keen on delivering the best possible services at some of the most affordable prices you will find in Brighton. With us, you don’t have to pay more than necessary for scaffolding services. This makes it possible for property owners and contractors in Brighton to access top of the line scaffolding services with ease. Even though our services are provided at some of the most competitive prices, we do not compromise on quality in any way. Our scaffolding experts make use of only the most reliable materials to set up scaffolding. This ensures you get best results and optimal safety from our scaffolding, all at a fair price. To help you get an idea of how cost effective our services are, we can provide you a free no obligation quote over the phone. As long as you provide us accurate information concerning your project, our free quote will provide you with an honest and accurate estimate of how much decorating access or other scaffolding service will cost you. We can provide you with an accurate and competitive quote regardless of the size, complexity, or location of your project in Brighton. Call us now or make use of our online contact form for your own free no-obligation quote. Ace Scaffolding Brighton has been serving the people of Brighton for a number of years now and the customers we’ve had over the years have nothing but positive things to say about our services. Not only will we offer you a great price on installation of decorating access that is a perfect fit for your project, we will stand by you and provide support till you no longer require scaffolding. Our support will include regular ongoing inspections to ensure safety as well as customer satisfaction. 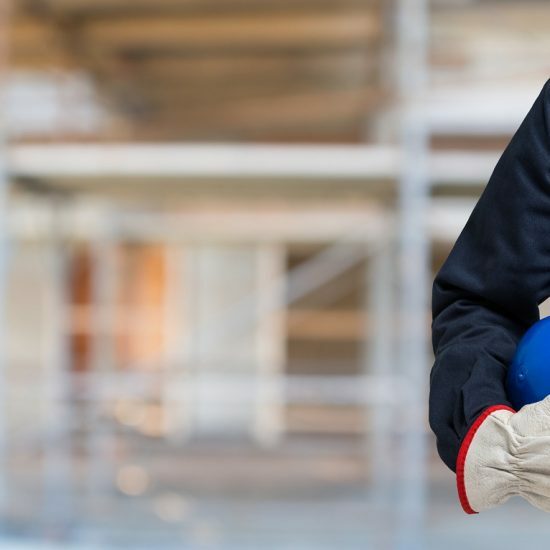 We provide safe frameworks that will enable workers on your site reach any areas of your building safely while executing decorating work such as painting, installations, and the like. Unlike ladders, our decorative scaffolding will provide your workers with a platform to walk and work horizontally which allows them to cover more area in less time. Once your project is completed, just give us a call and we’ll come over at your convenience to quickly and safely dismantle and remove scaffolding. During dismantling, our scaffolders will take great care to prevent damage to your property and completed work. We are also fully insured so there’s no need to worry. Call Ace Scaffolding Brighton today for a personalised decorating access at a great price! How often does a scaffold have to be inspected? We recommend that your scaffolding be inspected at least once a week to ensure its safety and security. It’s prudent to also inspect a platform before each use and after significant alterations. Scaffolding should regularly be checked to confirm its structural integrity and safety. Regular inspections of scaffolding ensures that it is safe for use and doesn’t pose a danger to anyone. Inspections are especially necessary if the scaffolding has been moved or altered in any way. It is also ideal to have it inspected if it has been exposed to heavy rain, wind, snow or other adverse weather conditions. Do you do small works? Yes. Our team is available for small projects as well as for large complex ones. As long as you have a task at height and you need scaffolding to reach it, we can be of service. Do you do street works? We have a friendly relationship with local county councils and can get the needed pavement licenses for street works with ease. When will the scaffold be removed? After you have completed your project and inform us, we will immediately arrange to have it dismantled and taken down. This is to ensure that you can begin enjoying improvements made to your property as quickly as possible. Will installing or use of scaffolding cause damage to my property? Gardens may be affected by the installation of scaffolding, especially if the ground is soft. But our team is trained to fulfil their duties with sufficient care to minimise risk of damage to all parts of client property. You can trust us to respect your premises and do our best to avoid or minimise damage, depending on the circumstances. How long will it take to setup scaffolding? The time it will take to complete the erection of scaffolding will depend on its size, the site, materials to be used, and other factors. 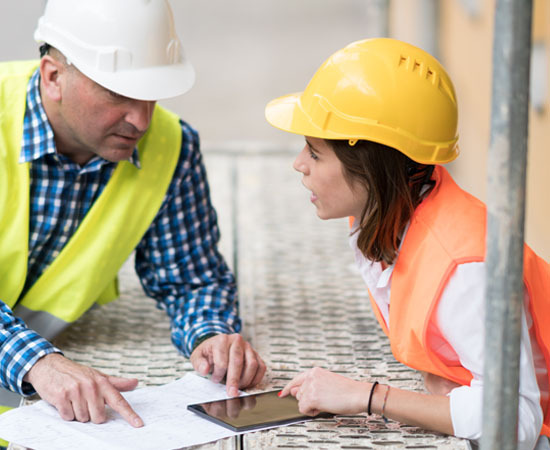 We can provide you with an accurate estimate regarding time after a quick site survey or after you provide us with relevant details concerning your site and needs. What sort of scaffolding do you use? Tube or system? Whether a tube or system scaffolding will be provided for your project will be determined by a number of factors. Through a proper evaluation of your project site, we will know what sort of scaffolding to best facilitate the completion of your project and guarantee safety. You can trust our experienced professionals for scaffolding that makes a perfect fit for your project. My project site is on a tight country road with bad access. Can you reach us? We have at our disposal various vehicles which give us access to all parts of Brighton where you may need scaffolding. Rest assured that regardless of your location, we have a suitable vehicle to get us there and provide the scaffolding services you need. How do I get scaffolding now? With us, getting the scaffolding you need when you need it is easy. Simply give us a call and we will send over a specialist to survey your site. After talking to you about your project and understanding your requirements, we can provide you a detailed quote. Once that’s done, we will have your scaffolding set up where and when you need it in Brighton. What is scaffolding made of? Quality scaffolding is typically made of steel or aluminium. Aluminium scaffolding is ideal for short term use, while steel scaffolding is more suited to projects that will take longer and will involve heavier use. But bear in mind that steel scaffolding costs more and takes longer to setup. Aluminium is lightweight, less expensive and easy to erect. But if your project is going to take a long time and will be labour intensive, then steel will be a better choice because of its sturdiness and resilience. Can I still use scaffolding if the ground I’m working on slopes or is uneven? Yes. With our expertise, uneven or sloping ground cannot stop you from making use of scaffolding. We provide scaffolding with adjustable components that compensate for bumps and other unevenness on the ground. We also put in place measures that ensure a sloping ground will be a non-issue. We can provide you with scaffolding that is safe and secure regardless of the state of the ground. If you are worried about your site ground and its suitability for scaffolding, please contact us to arrange for a site survey which will address your concerns. Do I need a permit for scaffold erection? You generally do not need a permit or licence for scaffolding erection. But if your project extends to a public path or road, and scaffolding will be erected on a public right of way (pavement or a footpath), you will need a permit. If your project will need permits to erect scaffolding, we can obtain it on your behalf quickly and more cost effectively thanks to our relationship with the local county councils. How long can I have the scaffolding for? You can have the scaffolding for as long as you need. We will discuss how long you expect the project to take before we start so that we can provide you with an accurate scaffold hire rate. Do I have to pay you to remove the scaffolding? There’s no need to pay to have scaffolding removed as our hire rate already covers the cost of scaffold removal. Can I erect scaffolding on my property myself? You can try, but we do not advise it if you are not properly trained or possess the necessary tools for such a project. Erecting scaffolding requires a certain level of expertise and proper tools. In the absence of such, attempting to erect scaffolding can prove to be a dangerous venture that puts you, your property, and everyone and everything in it in danger. By working with experienced professionals such as our team at Ace Scaffolding Brighton, you will have access to a completely safe and secure scaffolding that is fully functional. Instead of taking the risk of attempting scaffolding yourself, save yourself the trouble and risk by working with a professional. Another benefit of working with a professional such as Ace Scaffolding Brighton is that we are fully insured for such a project, you aren’t. How do you ensure safety with your scaffold erection? Safety has always been and will always be our priority regardless of the size or complexity of scaffolding we are called to erect. We always maintain a strict health and safety policy for not just our workers, but also for everyone else on site and your property in general. Our commitment to safety covers not just scaffolding erection, but also servicing and dismantling. You can rest assured that only members of our qualified in-house team will work on your project. We never outsource. 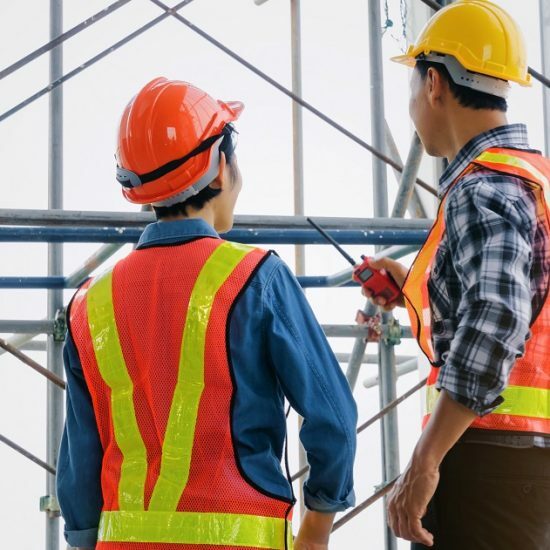 We will also engage in regular inspections and maintenance of the erected scaffolding to ensure its safety for the entire duration of your project. Can I remove or alter the scaffolding myself? We do not recommend you attempt it. Also, the removal or altering of scaffolding must be performed by a professional from Ace Scaffolding Brighton as stated in the terms and conditions of our service. This ensures your safety as well as that of everyone else on your site. Should you need any aspect of your scaffold adjusted for any reason, give us a call. We pride ourselves on great customer service and we will be there for you whenever you need us, including emergency services. 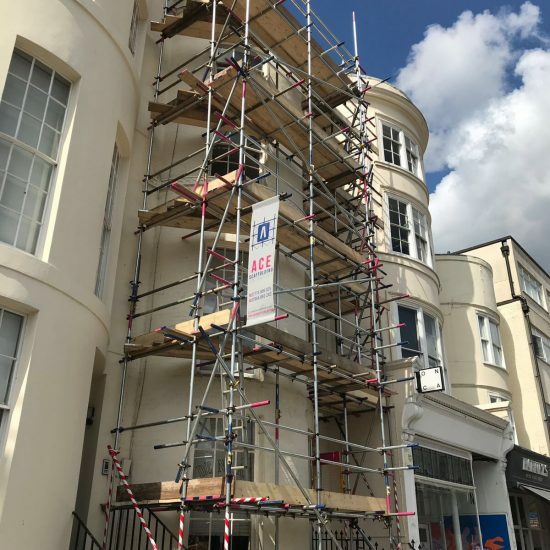 With the expertise, state of the art equipment, safety practices, and quality materials at our disposal, there really is no limit as to how high we can install scaffolding in Brighton. We promise that regardless the height of the installed scaffolding, the strictest health and safety standards will be adhered to. Do you do temporary roofs? Yes we do. If it’s for your commercial building, we can help you and your premises stay protected against the elements with a temporary roof. We can also help with the same for a domestic property. Give us a call today to find out more about our temporary roof services. Do you take on building site work? Yes we do. We have successfully worked on building site projects that consisted of a single house as well as those that consisted of several buildings. Regardless of the size or complexity of your building project, we have the expertise and manpower to deliver to your satisfaction. How do I know if a scaffolder is competent enough to deliver? An easy and effective way to determine the competence of a scaffolder, is to view his/her Construction Industry Scaffolders Record Scheme (CISRS) Card. A CISRS card is proof that a person has received formal training and passed the relevant assessments required to become a certified scaffolder. Such a person will possess the necessary skills to erect, dismantle and alter scaffolding as necessary. To find out more about the competence of a scaffolding company, you can ask about past projects they have completed as take a look at what their past clients have to say in reviews and testimonials about their service. Who can supervise scaffold erection? The operative in charge of the direct supervision of the working foreman, leading hand and other members of a scaffolding gang must meet the minimum requirement of CISRS Scaffolder grade. Supervision of more complex scaffold structures required a CISRS Advanced Scaffolder qualification. In addition, the supervision of a scaffolding site or project including deploying operatives, H&S issues, liaising with the client, inspecting, and so on, must be carried out by a competent person. However, the individual may not be required to hold a CISRS qualification. Can I use ladders instead of scaffolding? There is no law against using a ladder for your project, but the fact is you will not get the same level of efficiency, safety, and flexibility that a scaffolding will provide. Scaffolding has a wider and more stable base than a ladder which means it is more secure to use – it doesn’t wobble and doesn’t need anyone to hold it up. It can also be used on a variety of grounds, including uneven ones. Also unlike ladders, scaffolding can hold several workers at a time. Workers can also work and walk horizontally on a scaffold which means accomplishing more in less time. This is something that is impossible on a ladder. Simply put, scaffolds are far safer and far more effective than ladders. They are also more versatile. How do I know the kind of scaffolding I need for my project? There are various types of scaffolding available and getting the right one for your project is key to getting best results. To ensure you get scaffolding that’s a perfect fit for your needs, we offer a free consultation service. 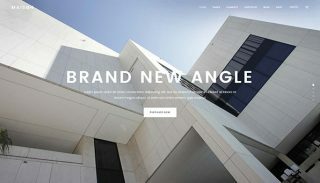 During consultation, you can tell us what you need scaffolding for, the site you need it on, and how long you need it. With this information, we can easily recommend the best type of scaffolding for your project. Are your scaffolding erectors qualified? Our company has years of experience operating in Brighton. All our scaffolders are also CISRS card holders. A CISRS card is proof that a person has received formal training and passed the relevant assessments required to become a certified scaffolder. All these and our history of consistent delivery of high quality services are just some of the reasons why we are the most qualified team for your scaffolding needs in Brighton. 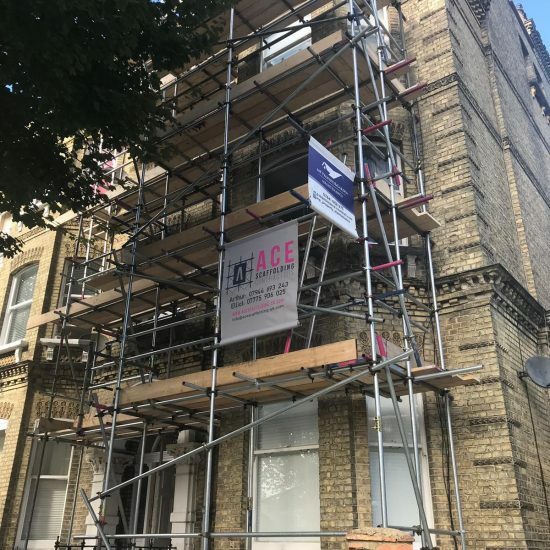 Ace Scaffolding offers Scaffolding Hire for Decorating Access in Brighton, which is located in South East England, and a large town in the county of East Sussex. As well as Ace Scaffolding, Brighton is home to many of East Sussex’s leading businesses. The nicknames Brighthelmstone & Blightey are still commonly used. Hollingdean, Hove, Mile Oak, Moulsecoomb and Hollingbury are also part of Ace Scaffolding’s Scaffolding Hire for Decorating Access area in the City of Brighton and Hove. as well as Brighton and Hove’s outlying urban areas West Blatchington, Westdene, Withdean and Woodingdean. 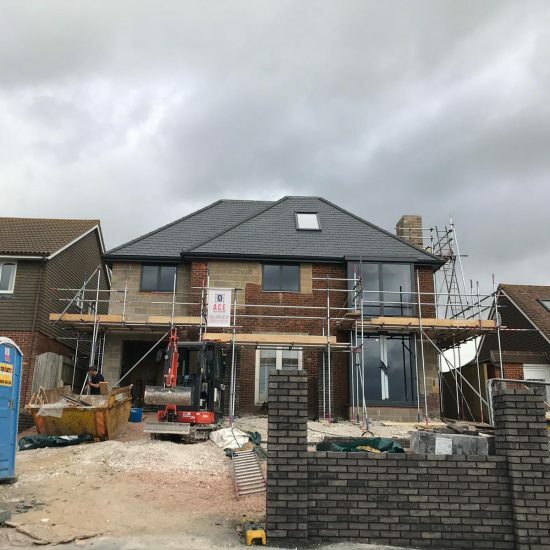 In conclusion, Ace Scaffolding’s Scaffolding Hire for Decorating Access also cover the Brighton Municipality which includes Stanmer, Brighton Marina and Bear Road area. Brighton is the starting-point of the A23 road and Intersects with the A27 road.